AeroCare Medical Transport System, Inc. specializes in international air ambulance service. This is also known as medical evacuation transportation. It is often referred to as medevac, medevac transport, medivac or airevac. AeroCare provides medevac service for patients anywhere in the world. Our medevac service is for critically ill or injured patients that need fast, safe and reliable air medevac transports. You'll find no higher level of safety, experience and accreditation. AeroCare has the highly sought after and distinguished CAMTS accreditation, meaning we're the best in the business. CAMTS is the "Gold Standard" for medevac providers to obtain. Only a handful of air medevac companies have this high honor. What is International Medical Evacuation? What is medevac transport or medivac? Medical evacuation is often needed for patients that are hospitalized in a foreign country and need to be medically evacuated back to their own country. Medical evacuation is done with fixed-wing medical aircraft. AeroCare transports patients on Learjets or similar fixed-wing business jets. Many people are left with the question of how to find air medical evacuation transportation. AeroCare provides the air medical evacuation service you need. We are experts in transporting patients internationally. AeroCare has been in business 22 years and has a perfect safety record. We know how complex medical evacuation or medivac transports can be. 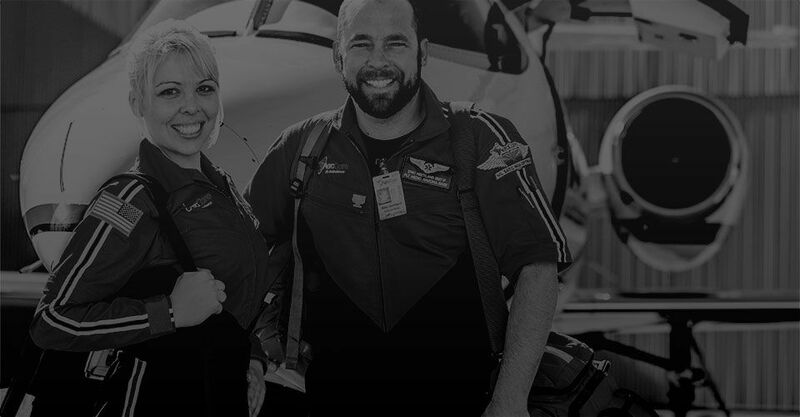 Our expert staff will arrange your medevac transportation for you. Who Needs International Medical Evacuation Air Transport? Today people travel to the far reaches of the globe and if they find themselves ill or injured in a foreign country and need a way home they contact an air ambulance company. This service is for critically ill patients that are in hospitals in foreign countries. The care in a foreign hospital may not be as good as the care in the patient's own country and you may require a medevac transport flight home if you can't travel on a commercial flight. Because medical evacuation flights are for seriously ill or injured patients, you want to hire a company that is experienced in international medevac transport. Our expert medical teams consisting of a critical care flight nurse and critical care flight medic would accompany the patient on the jet. The jet is configured just like the intensive care (ICU) unit in a hospital. The aircraft that perform the medical evacuation have a medical stretcher, oxygen, IV fluids, ventilators, monitors, and all the required medications to fly the patient a long distance. The aircraft used for medical evacuation flights are pressurized and fly at safe, comfortable altitudes to be sure the patient and family members have a smooth, comfortable flight. How do you Schedule an International Medical Evacuation? How do you request international medevac transport? If you want to know how to find international medical evacuation transportation, you've come to the right place. 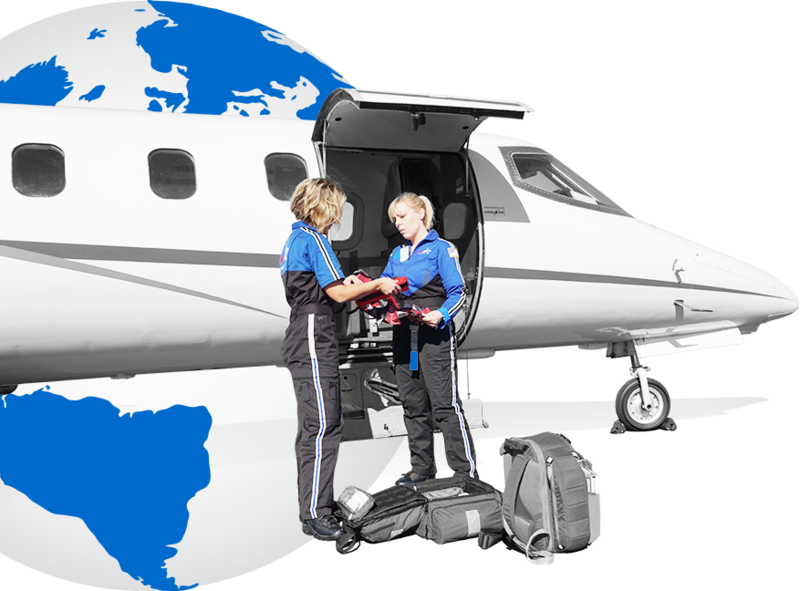 Our Aeromedical Case Managers specialize in coordinating worldwide medical evacuation transports so that you don't have to. Our experts coordinate all of the details of the medical evacuation flight and ground transportation. You can contact one of our experts at 800-823-1911 or click here to request a quote online. With 22 years experience providing air ambulance services, AeroCare can handle the most complex and critical cases and provide the safest and most cost-effective solution to deliver the patient to the required destination. We have 24-hour access that is always available to our customers and patients. We have a bilingual staff available to consult with the patent and family members. We will assist in coordinating and accepting physician and hospital beds - Worldwide. We have Physicians, Critical Care RNs, Flight Medics, and Respiratory Therapist teams on standby. We have experience working with foreign consulates, preparing citizenship paperwork, and resolving customs and clearance issues. We have on-site Case Managers to help assess patient needs. We have commercial medical escorts to help contain costs. We donate in-stock ventilators in cases where the receiving facility does not have ventilator capability. The most prestigious and difficult accreditation to earn in the industry.